Berkeley Lab scientists have been awarded $1.3 million to study health impacts of thirdhand smoke. Lawrence Berkeley National Laboratory (Berkeley Lab) researchers have been awarded $1.3 million for two sets of studies to better understand the health impacts of thirdhand smoke, the noxious residue that clings to virtually all indoor surfaces long after the secondhand smoke from a cigarette has cleared out. The two three-year grants are from the Tobacco-Related Disease Research Program (TRDRP), which is managed by the University of California and funded by state cigarette taxes. In one set of studies, life science researchers will seek to confirm the link between thirdhand smoke and cancer, identifying the mechanisms and biomarkers. In the second set of studies, environmental chemists will seek to characterize the components of thirdhand smoke, including investigating the differences between atmospheric particulate matter versus that in tobacco smoke. "These two grants represent the largest annual total in the history of the TRDRP to Berkeley Lab and affirm that we remain on the cutting edge of research in this area," said Berkeley Lab chemist Hugo Destaillats. "Working with our collaborators over the years, Berkeley Lab has made many important findings on thirdhand smoke, and now we're excited to use new approaches to better quantify its harm to human health." Berkeley Lab scientists first sounded the warning on thirdhand smoke with a pair of studies in 2010 establishing that nicotine in thirdhand smoke can react with common indoor air pollutants to produce dangerous carcinogens. 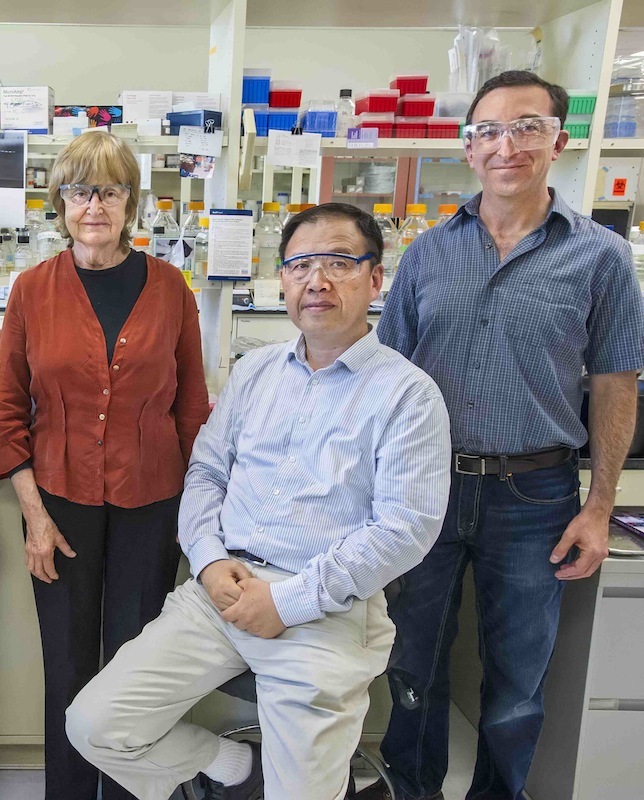 Since then, TRDRP has funded further studies, including one in 2013 led by Berkeley Lab biochemist Bo Hang that found that thirdhand smoke can cause significant genetic damage in human cells. Genotoxicity is associated with the development of diseases and is a critical mechanism responsible for many types of cancer caused by smoking and secondhand smoke exposure. This body of work led to a California law banning smoking inside daycare centers due to the lingering effects of thirdhand smoke. "We have established that components in thirdhand smoke do cause DNA damage," said Hang. "Now we want to look for more evidence of genomic instability and also confirm the link with cancer by finding the mechanisms and biomarkers." To accomplish this, the researchers from Berkeley Lab's Life Sciences Division will conduct two studies. First, using next-generation toxicological approaches, such as exome sequencing of the whole genome and bioinformatics for analyzing mutation patterns, Hang hopes to further characterize the cancer risk of cells and tissues exposed to thirdhand smoke. Second, Berkeley Lab geneticist Jian-Hua Mao will use a genetically diverse population of mice to investigate how components of thirdhand smoke cause genetic damage. "Just like humans, mice can have big variations in how susceptible they are to cancer," Mao said. "We will investigate the dose-response relationship and threshold of detection in certain cells and tissues, and also see if the results lead us to biomarkers of thirdhand smoke exposure." Additionally he will look at four time periods in the mouse lifetime—perinatal, postnatal, puberty, and young adult—to determine if there are "windows of susceptibility." "We always say that thirdhand smoke is especially dangerous for kids and babies, but we don't have concrete evidence," Hang said. "This should answer that question." The other set of studies, led by Destaillats working with Berkeley Lab scientists Lara Gundel and Jennifer Logue, will look at the particulate matter in thirdhand smoke, or PM2.5, particles smaller than 2.5 micrometers in size. "We know particles may account for as much as 90 percent of the harm," Destaillats said. "But given the lack of toxicological and epidemiological data on tobacco particles, the health data we currently use comes from studies on outdoor atmospheric particles. This more targeted study will shed light on how thirdhand smoke particles compare with atmospheric particles." Destaillats, Gundel, and Logue will also further characterize the composition and chemistry of thirdhand smoke. "We have a pretty good idea what's emitted by cigarettes and the evolution of the components—some react, some are absorbed, some disappear," Gundel said. "But there are still unidentified components in thirdhand smoke." Berkeley Lab is a member of the California Consortium on Thirdhand Smoke, which was established in 2011. Other members include UC San Francisco, UC Riverside, the University of Southern California, and San Diego State University.